Il Best Western Inn of Kilgore è situato nel centro di Kilgore. L'hotel è vicino alle principali attrazioni turistiche. Approfittate tutto l'anno del miglior prezzo garantito e di offerte esclusive. 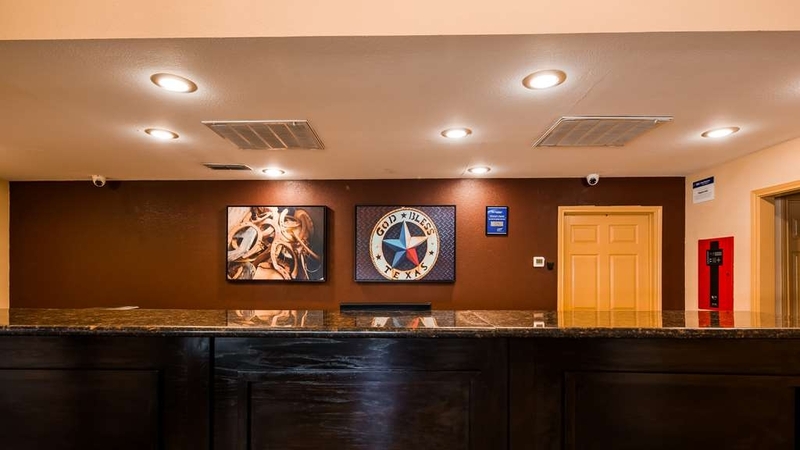 Benvenuto al Best Western Inn of Kilgore!Questo hotel BEST WESTERN di Kilgore, Texas, offre tutto ciò che serve per trascorrere un soggiorno all'insegna del confort, come un'ottima posizione, una colazione all'americana completa e ampie camere dotate di aria condizionata. Grazie alla vicinanza ad aziende come Martin Gas, Halliburton® e Eastman Kodak, il nostro hotel di Kilgore è una scelta apprezzata, specialmente dai viaggiatori d'affari. In ogni caso, è la nostra grande ospitalità, tipica del sud degli Stati Uniti, a rendere indimenticabile il tuo soggiorno. 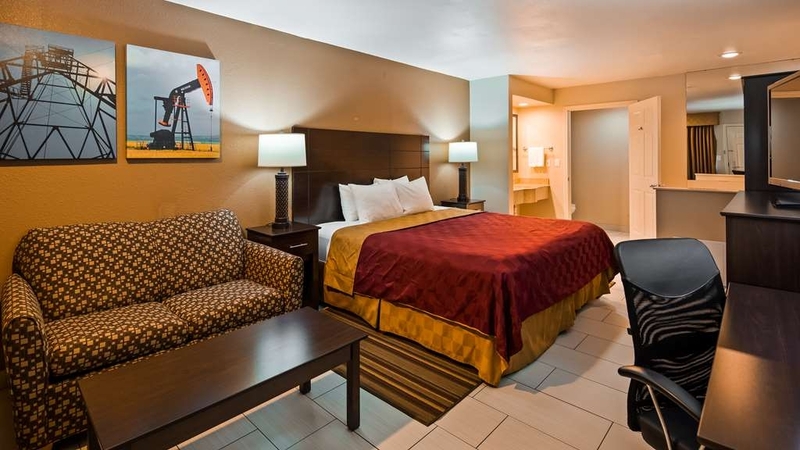 Cerchi un hotel vicino all'East Texas Oil Museum, che ti offra un servizio cordiale? Sono caratteristiche imbattibili quando si tratta di fare una vacanza. Che tu sia qui per affari o per turismo, il nostro personale cordiale renderà piacevole il tuo soggiorno. L'East Texas Police Academy si trova in questa zona e noi siamo lieti di ospitare i poliziotti (o coloro che lo saranno fra poco). Il Kilgore College è anch'esso a breve distanza in auto e i soggiorni prolungati sono la nostra specialità. Se hai bisogno di una camera comoda per la durata di un semestre, non c'è problema. Gli hotel di Kilgore, Texas, ti fanno sentire parte della famiglia, ma solo nelle nostre camere spaziose potrai sentirti davvero come a casa. Situato vicino all'autodromo Lone Star e a pochi minuti dal Good Shepherd Medical Center, il nostro hotel di Kilgore è in grado di soddisfare le esigenze di ogni tipo di viaggiatori. Sei qui per un evento speciale o per visitare una persona cara all'ospedale? Qualunque sia il motivo del tuo viaggio, il Best Western Inn of Kilgore renderà tutto più semplice. Spostamenti rapidi da e verso l'hotel e un comodo accesso agli autobus Greyhound sono solo l'inizio. Il Junior College ospita eventi sociali durante tutto l'anno e non perderti un eccellente barbecue in stile texano mentre soggiorni in questa zona dello "Stato della stella solitaria". Hai bisogno di qualche consiglio sui luoghi da visitare o le cose da vedere? Chiedi ai membri del nostro personale cordiale. In quanto esperti rappresentanti di questa zona, sono sempre felici di introdurti ai suoi più bei tesori. 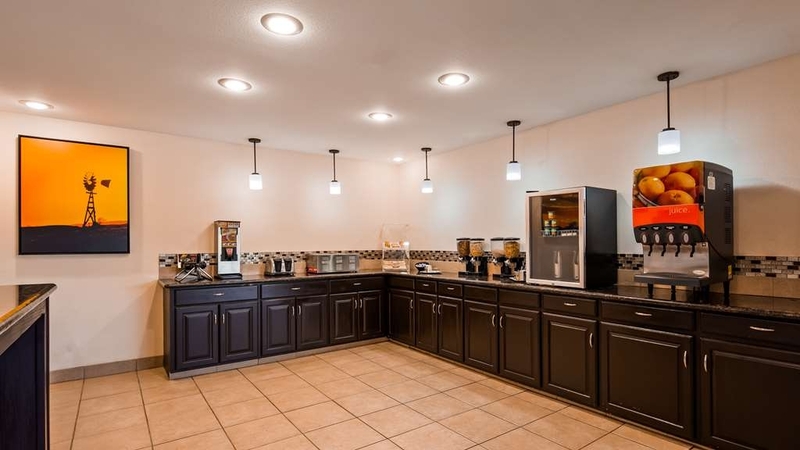 Prenota subito il tuo prossimo soggiorno al Best Western Inn of Kilgore!Ti auguriamo un soggiorno gradevole! "good rest after a long day"
I enter the building with the staff that knows me and has all my information ready for me. They are fast and friendly knowing I am tired after a long day and they ensure I have a first floor room. 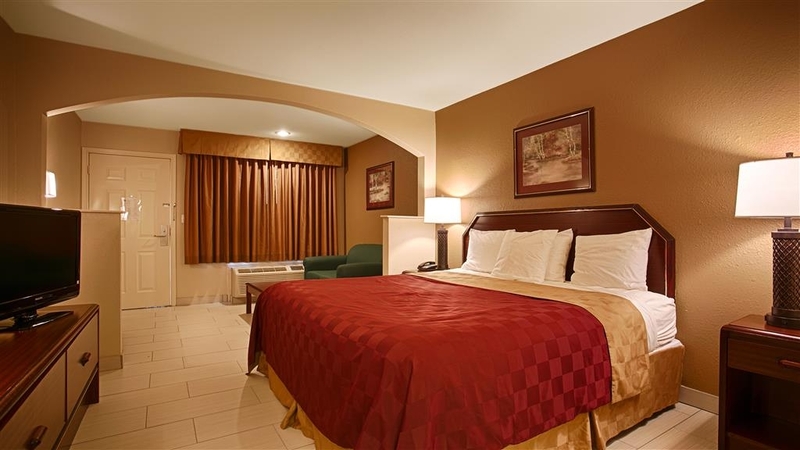 The room is located in the quite part of the motel with the room warm and ready for met to settle down for a quite restful night. The next morning off with a great cup of coffee and a fast checkout. Dear guest. Thank you for your positive comment I am so glad to hear that you enjoyed your stay with us, we are looking forward to having you again as a guest in our hotel. Overall great service with friendly staff! 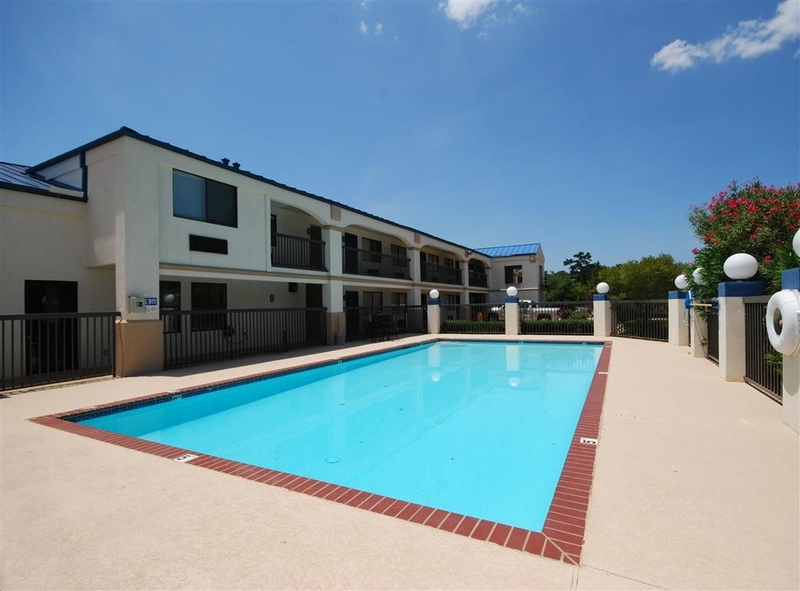 The room was clean and quiet, and the young lady that checked me in was quick, friendly and professional. Overall, this was a good experience and I will be staying there again. 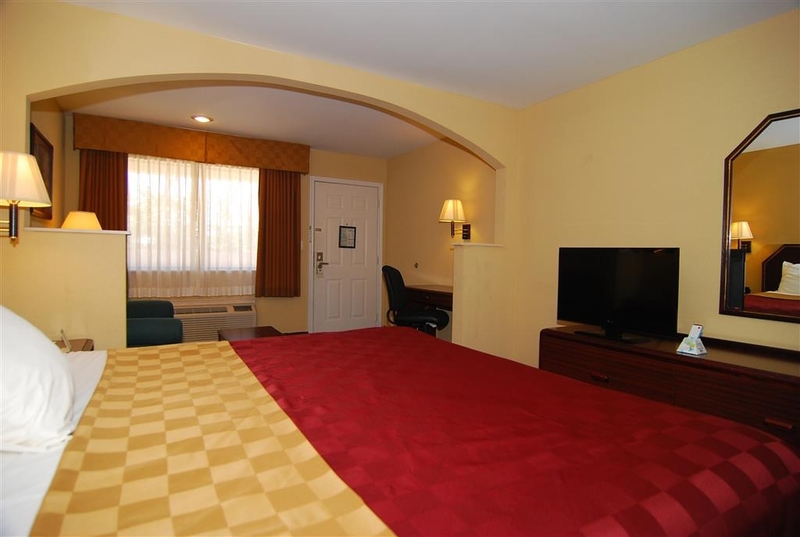 My stay at the Best Western Inn at Kilgore was very comfortable and very clean. The staff was super friendly and everything was pretty much nearby that I could want. I will be coming back to this one again! Staff were great helpful at Breakfast which was very good. Room was ok nothing fancy but comfortable. Pet friendly room with tile floors, but we did not have a pet. Felt room was a bit musty but running AC helped. Can't beat the price. It was good. Not spectacular, but good. Rooms were clean and comfy. Pool is outside and it was clean. Each room had a little fridge. Not much noise despite being on a state highway. The breakfast area was well stocked and ok. It was a nice stay. Dear guest. thank you for taking the time to review your stay with us. i am happy that you enjoyed your stay i am looking forward to having you again as a gust in our hotel. The rooms are accessed from outside. The room was clean and beds were comfortable enough. I heard doors slamming most of the night, but overall it wasn't too noisy. Breakfast was the typical kind for Best Western, but the supplies seemed a little sparse. There were only two cups of yogurt, for example. The staff was nice. If you don't want to spend money on luxury accommodations, this place will provide you with a decent bed and shower. There was also a nice tv and small fridge. Dear Traveler. Thank you for your feedback about our hotel. We appreciate your loyalty and your continued trust in our hotel and our staff. It was okay, comfortable and a good size. The Staff was friendly and helpful. It was close to where we were visiting family. We were happy to get a first floor room. It was a little interesting to get on the property. "Glad I picked this one!" This Best Western was as nice as any Hampton Inn and much cheaper. The owners were wonderful and very helpful with any needs I had. The breakfast was very good. The rooms very clean. The internet was fast. Comfortable bed too. Dear Happy Guest. Thank you for giving us a perfect rating and for recommending our hotel to other travelers, i am sure entire hotel staff enjoyed catering to your needs as much as you enjoyed your stay. take care. I tried booking a room at the Comfort Suites in Kilgore for an annual conference I attend and had stayed for 5 previous years, but was mistakenly told by the person who answered my call that the block of rooms was sold out (this was a gross error on her part), so I opted for the back-up hotel which was the Hampton Inn. Several months later, I was feeling a bit poorer and a little adventurous and booked the Best Western in Kilgore. In doing so, I saved $113 during my 5-night stay. When I checked in, the desk clerk said had I called her directly, she could have saved me even more money! One of the advantages of a long-term stay here is that you get free laundry service. No, not tokens for the guest laundry. You give them your laundry and THEY take care of it for you! This Best Western is almost across the street (kitty-cornered) from the Comfort Suites. I'd requested a ground-floor room and was given one at the back of the property which was quiet and extremely convenient for parking, unloading luggage, etc. The room was very good sized with half-height partitions separating the table/desk (with an excellent office chair) and the seating area which had a comfortable couch from the sleeping area. 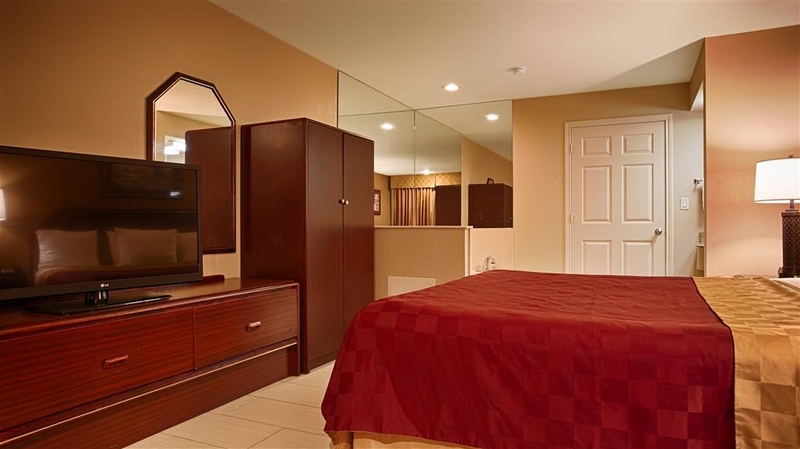 The king-sized bed was comfortable and there was a flat-screen TV atop a commodious dresser with 3 drawers. 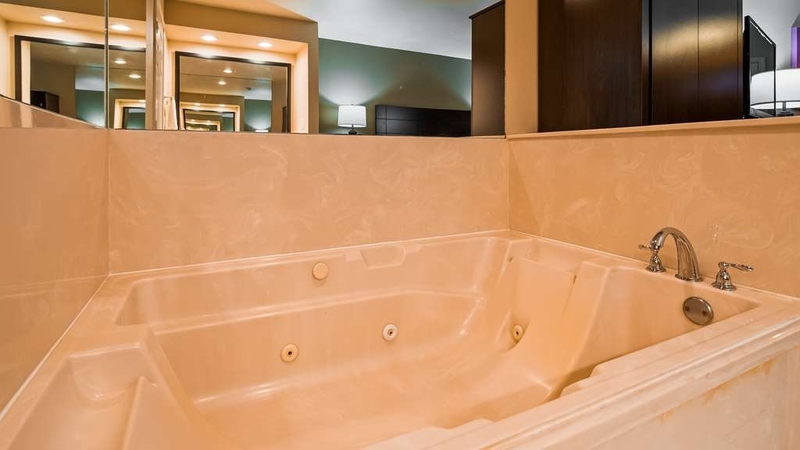 The bathroom was similarly separated with the sink in one area and the tub/shower and commode in a more private one. Hot water was instant and always adequate and towels, etc. were surprisingly plush. One oddity - the entire floor was tiled rather than carpeted (save for two strips of carpet flanking the bed). That can be treacherous at times depending on certain conditions. I mean, what is this - a Red Roof Inn? Room décor made a valiant attempt at being "Kilgorean" with colored photos of oil rigs reformatted to look like paintings. This was a nice touch except for one rig emblazoned "Made in China," ha-ha! I was impressed by the level of decent lighting. That is, one could actually read and/or work with the available fixtures be they sconces, table or floor lamps. Breakfast is served from 6-9 AM daily and there are copies of "USA Today" in the lobby. Maid service was truly exemplary here. The entire property has a neat, well-kept look. Arches seem to prevail from the entry port cochere and outdoor room entry frames to the rooms themselves. Room sockets were plentiful and there was a roomy 3' mini-fridge and microwave as well. Chain fast food options abound along the highway, but there are also many local Tex-Mex and BBQ places as well to try. There's a CVS directly across the street and a Walmart next door. Light sleepers may find themselves annoyed by the train whistles from the very busy Union Pacific freight line nearby. But this 3rd choice try-out will definitely be my 1st choice lodging on my return visits to Kilgore. The hotel is clean and friendly. The turn in to the hotel is terrible, watch for it or you will miss it. The staff is nice. The room was clean and everything worked. The beds are extremely hard and the pillows are bad too. Word to the wise, bring your own. All in all it was not a bad stay. We would go there again because of there welcoming pet policy. "Very nice recenty renewed motel with ultra friendly staff"
We were very surprised , the motel is freshly painted ( still a little bit underway) with nice and clean rooms, good beds, new and silent airco units and a nice pool where you can sit on good chairs. Breakfast is OK as is common in this kind of hotels ( bagels, juice, eggs and the waffle iron of course). Regretfully the wifi did not work in our room ( nr. 111). the staff was friendly & professional. the hotel was nice. the room was clean & the bed was comfortable I slept well here. woke up rested, the breakfast was good. the location was good with truck parking. Amanda was amazing, treated me like I was family got me set up with a room told me all about the amenities. Bethany in the entire staff were amazing highly recommended. The laundry service was a lifesaver. I had booked this hotel for my husband, daughter, and myself. When we pulled into town we noticed a bunch of trucks, and lots of people hanging around the parking lot. The place also looked pretty run-down and not somewhere quiet and relaxing for my family. So we kept driving and got a room at the Holiday Inn down the road (super nice people!) - I expected to eat the first night's fare but when I called the lady at the front desk said "Sorry, we're keeping your money for both nights." She then informed me of a 24 hour cancellation policy I had never heard since I gave her a credit card over the phone to book the room. I was really nice to her up until this point and I asked to speak to the manager. She put me on a hold and said the manager would not speak with me and that she says "its an owner policy". She also had the nerve to tell me the hotel was overbooked and she had a bunch of people in the lobby. So basically, they got paid double for my room! She then began talking over me and refusing to listen to me and eventually hung up on me. I called my credit card company and they are dealing with these people now, and thankfully they are kind enough to credit me the money I wasted at this joint. "Don't know what this means." We came to stay two days to enjoy family reunion at and away from BW. We brought food to keep refrigerated to use during our stay and for our Saturday gathering of all of our family. What an inconvenience to not have a working refrigerator and microwave. I only stayed one evening but the stay was nice or the rate. staff was VERY nice and professional. The exterior looks a little dated so I was worried about the rooms. They were nice and clean my only complaint was the pillows and quality of blankets; they could use a little upgrade for comfort. Overall pleased with my stay. Nice motel with a reasonable price. The bed was a little hard and our non-smoking room smelled like cigarette smoke in the bathroom. But, overall it's a good place to stay where you can park right outside the room. "Great if you don't have allergies"
Room was neat, tidy & appeared clean. BR was spotless. Room was musty even after airing out 2-3 hrs. Air conditioner very dusty. Haveonly mild dust allergy & am not a great housekeeper. But this weekend, Ended up with wheezing & rash; 2 days later, still with rash & taking Benadryl. If not for this, it would have been a great stay. Takes more that surface care & clean sheets to keep an abode "clean"
"Best Western Kilgore Tx--staff and room"
All was good. Staff helpful, room clean and comfortable, breakfast good. Location very convenient. Price within budget compared to others I have stayed in recently this ranks right up there as good. Will recommend to others any time. Great the place is clean and I was happy with the stay and I like that they offer laundry service also. Very very good. The breakfast is really good too. The over all stay is great every time. I'm happy with my time there. The hotel is not bad, very clean and well located. 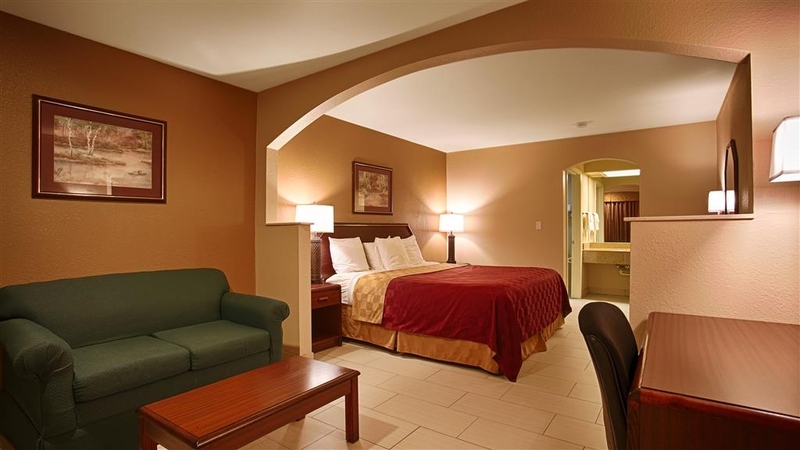 Rooms are comfortable and the staff very helpful and accommodating. The hotel has also a small swimming pool. The only thing to say against is the breakfast: very very poor! 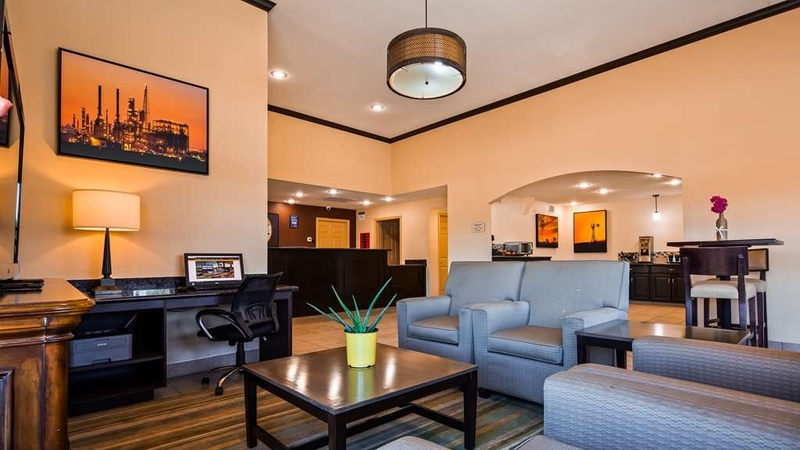 "Comfy Stay in Kilgore, TX"
My daughter and I stayed at Best Western Inn of Kilgore last weekend while there to help with a wedding, and it was the best value of any of the hotels in the area, and for the price, was a great choice. 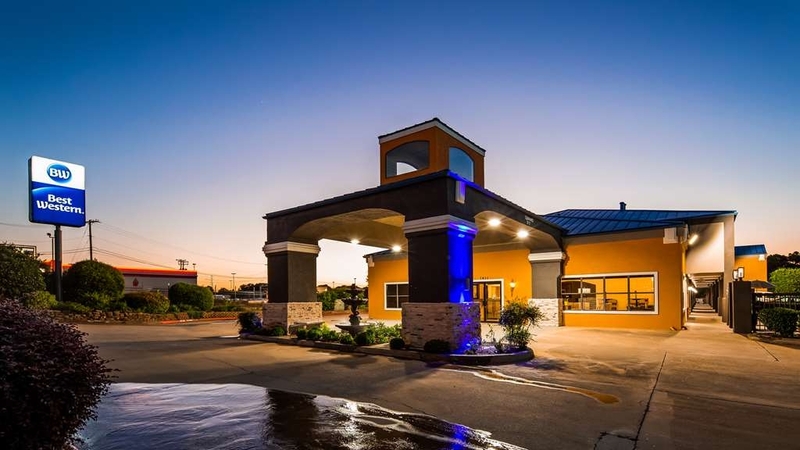 I've stayed at The Hampton Inn and Holiday Inn Express in Kilgore, but was just as pleased with my stay at Best Western - saving over $100 over the 2 nights I was there. The room was clean, and the only advice I can give is to keep the fan on "constant" so the air doesn't cycle on and off all night. It took me a full night to realize that mistake. 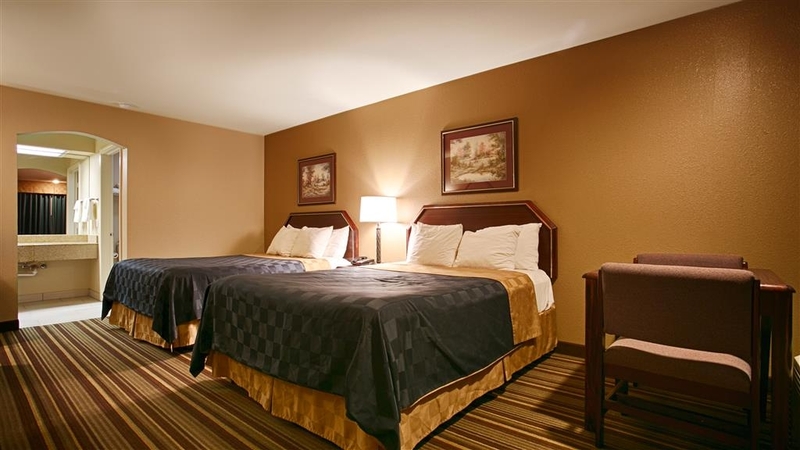 The Best Western Inn of Kilgore offers a great night's sleep. Austin, the awesome night person, was extremely helpful, courteous, and informative. The room was clean and neat, but more importantly quiet. Water was brown, we filled the jet tub up two times . both times brown water, reported it , they just looked at me like I was stupid.. The lawn wasn't mowed, food not fresh... I really don't believe Best Western knows how bad this location is. The hotel is dated but for the price a good rate for a room for a night. Walmart and food places are close by in walking distance. 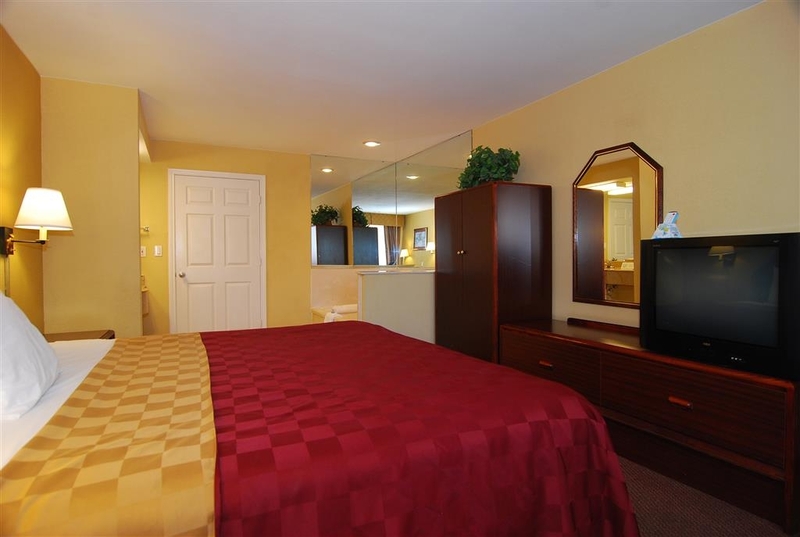 Rooms were clean and staff for very helpful and pleasant. Dated in the decor and hotel setup. This was an easy in and out hotel. We liked that we had a door to the outside and one to an inside hall. The breakfast as adequate. The room was a good size. The desk clerk was friendly. 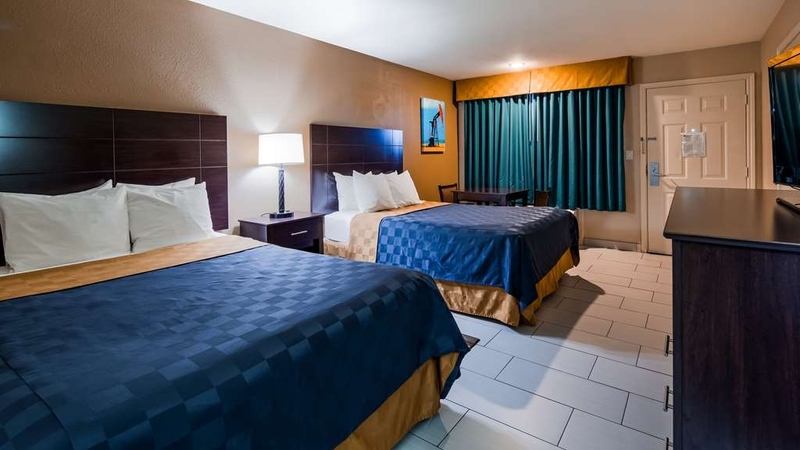 The hotel is pet friendly. .
excellent accommodations,friendly staff and competitive pricing ,very helpful in getting reservations ,checking in and checking out..I wouldnt stay any where else in Kilgore on future trips. this Hotels staff are some of the best trained staff I have incountered and I have been traveling in my work for fifty years. 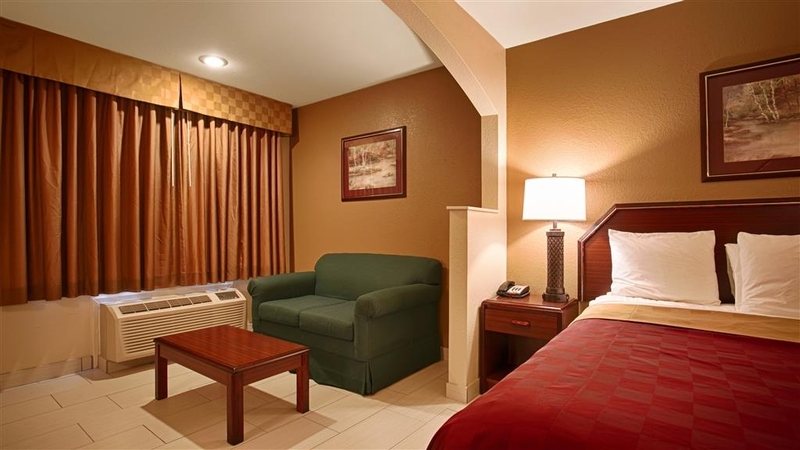 "Great visit, clean room, quiet space"
Staying at the Best Western Inn of Kilgore was a great experience. 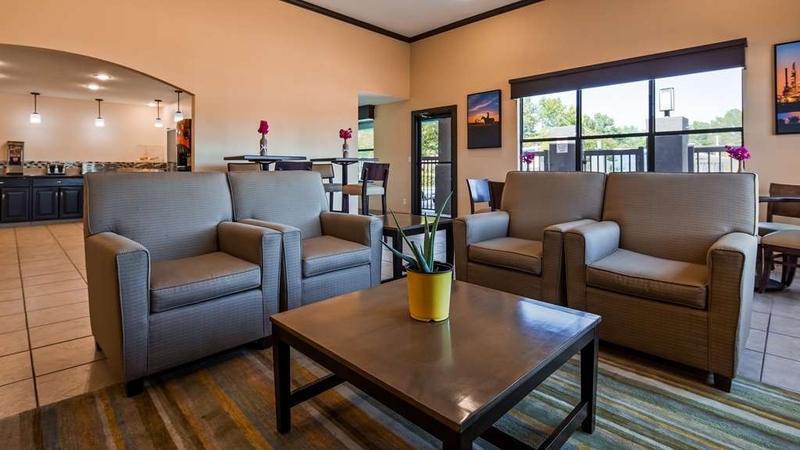 The room was clean and spacious, the location was easy to find, and the staff were friendly and responsive to our needs. We stayed 3 days total to visit friends, and even had a chance to swim in the pool. Thank you for making our experience an easy one! Don't waste your time on this hotel, it is the worst I've ever stayed in! Only good thing to say, is the staff was friendly. The location is hard to get to, there is a lot of freeway noise. We started with a smoking room, that was awful, the smell was unbareable, we asked to be moved to a non-smoking room. The new room was bad smelling too. 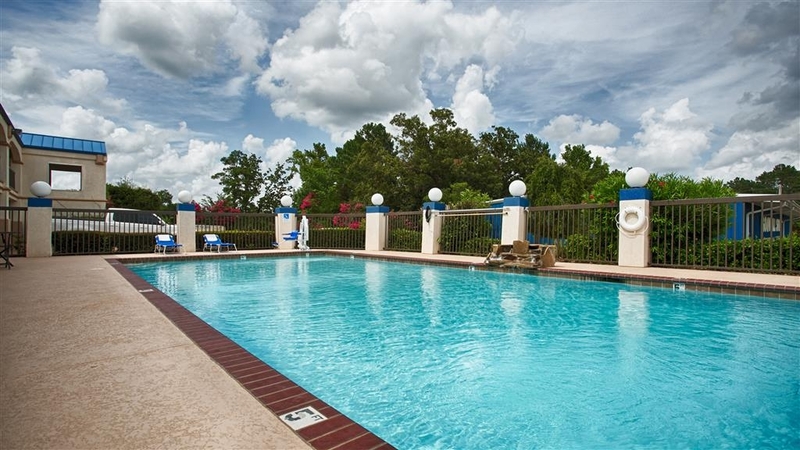 I am a BW diamond member and stay at BW's all the time in Texas/East Texas. So I get to see just about every variation of BW out there. 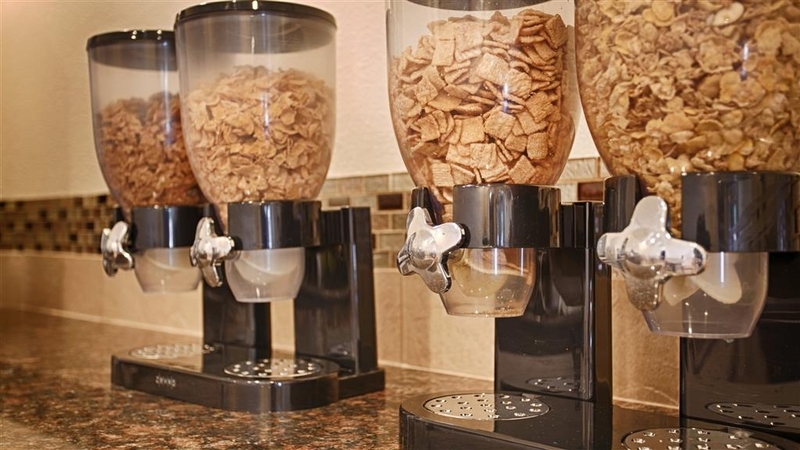 We all have reasons for staying at a hotel, but when you stay at hotels all the time, the little things matter most. 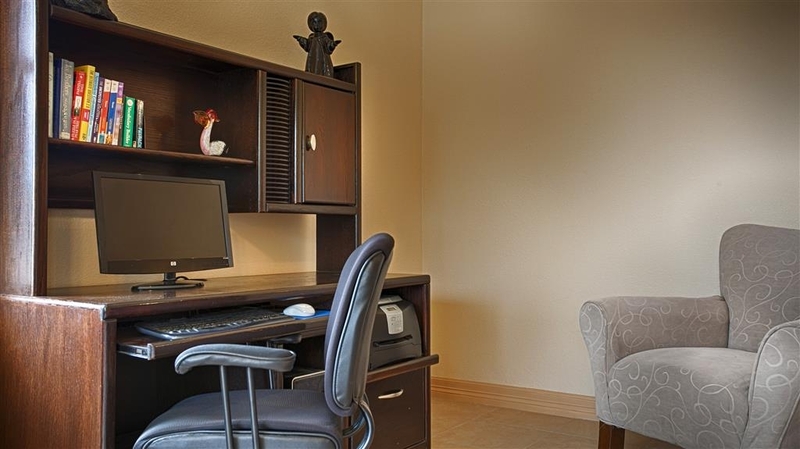 For example my biggest pet peeve is when a room looks like its been remodeled yet there are no electrical connections on the lamps to charge phone or connect computer etc. 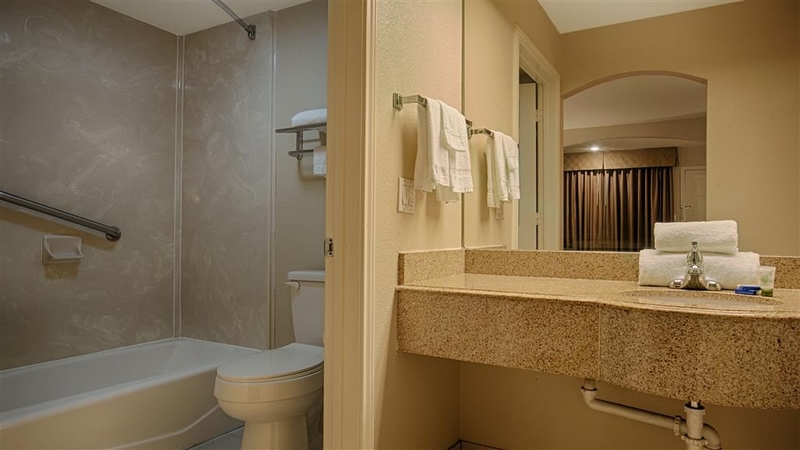 This hotel had interesting rooms, mine had tile flooring which was a first for me. I didn't like the fact that I had to pull out the computer desk to see the TV (glance while working) because of a half wall. Good location, breakfast was as expected. Helpful front desk clerk. I am not a big fan of motel style BW locations but at least the car is close to the door. I would stay at this hotel again. 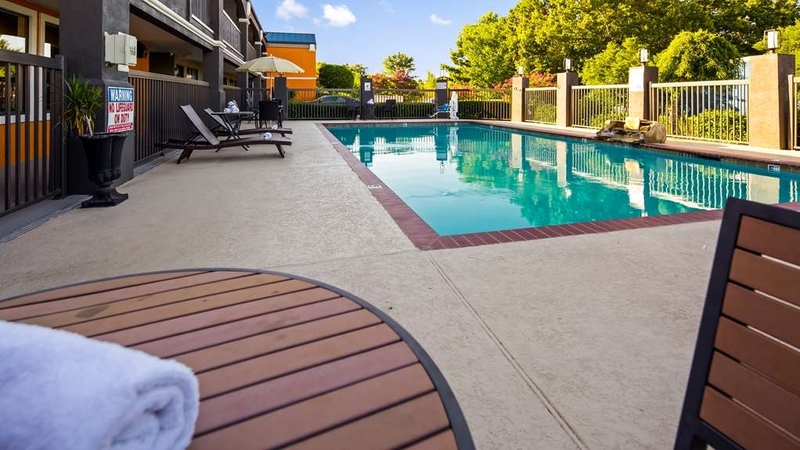 The best Best Westerns that I have stayed at are generally newer non motel properties. My favorites so far are BW Tyler, BW Katy Freeway, BW Lufkin, BW Mineral Wells, BW Livingston. The ones I am not a fan of are BW Willis and BW Henderson. BW Henderson was a trip. Have you ever stayed at a hotel with two doors to exit the room? One door to parking lot and one door inside? IMO too cheap to remodel the hotel and eliminate the outside door if they want to be an inside hotel. I was floored as soon as I walked through the door. I thought I would get used to it, but checked out a day early. I had to check out a day early because it was so bad. THe breakfast was extremely subpar as well. A couple of poor quality produce items. I stay at Best Western hotels the majority of the time when away from home. 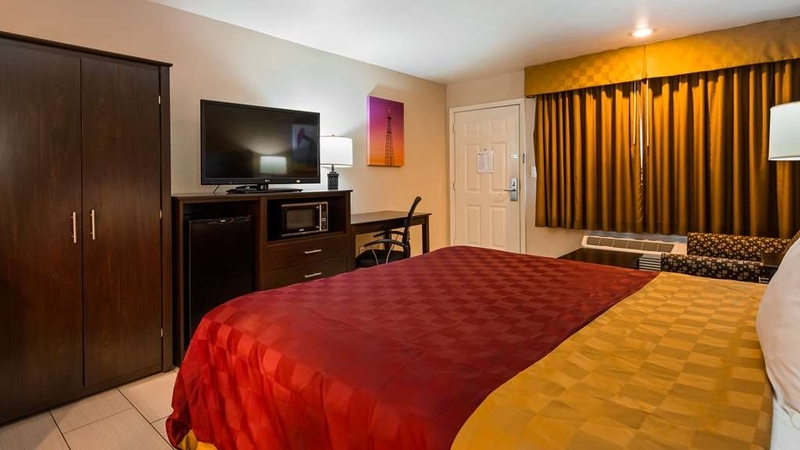 They consistently provide a clean, comfortable room and the Best Western in Kilgore is no different. It looks to be recently remodeled and has all the amenities I have come to expect from the motel chain. 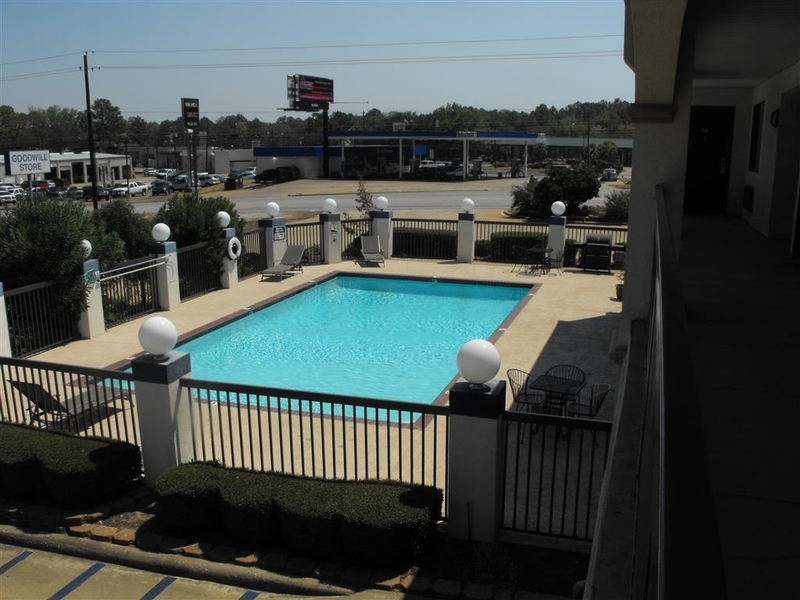 A little further off I-20 than a lot of the others but located near shopping on Business 259. Everything was in place from the clerk, the rooms and the great service that myself and my family received. Especially the Breakfast. Never had fresh eggs and bacon at any Best Western. My family and guest were really surprised. This Hotel deserve a 5 Star...Also we all just enjoyed ourselves and the beds felt like my own bed at home. I truly enjoyed it and I will be back. "Great employees, worst bed ever"
Everyone was nice at the hotel, the service was great, but the bed was the most uncomfortable bed I've ever slept on in my life. The breakfast was OK but the bacon was not cooked enough. I loved the waffles that you cold make fresh on your own, those were great. "Collage stay for my Grandson"
I book a room for my grandson till he was able to get in the dorm at Kilgore collage, the service was awesome. Plus Jessica was great helping me set up the reservations since I live in a different state and was paying for the room. My grandson said he had a great stay and was well taken care of. Great location for center city work. Super staff. Helpful with area activities and food. If I det the opportunity to return to the region I would be for sure staying at this Best Western Inn again. Thanks. Arriving at the facility was confusing. The motel is located on a busy corner at one of the major intersections. Only one entrance. Breakfast area consists of three tables in the main lobby. The food was ok. The king size bed creaked during the night while we attempted to sleep.